Today I had a very hard time with this painting and this is its fourth incarnation. Originally the sky was grey and then towards the end of our session, the clouds blew away and the colors all changed very rapidly. I added color and clouds and that threw the whole thing, so I painted out the clouds. 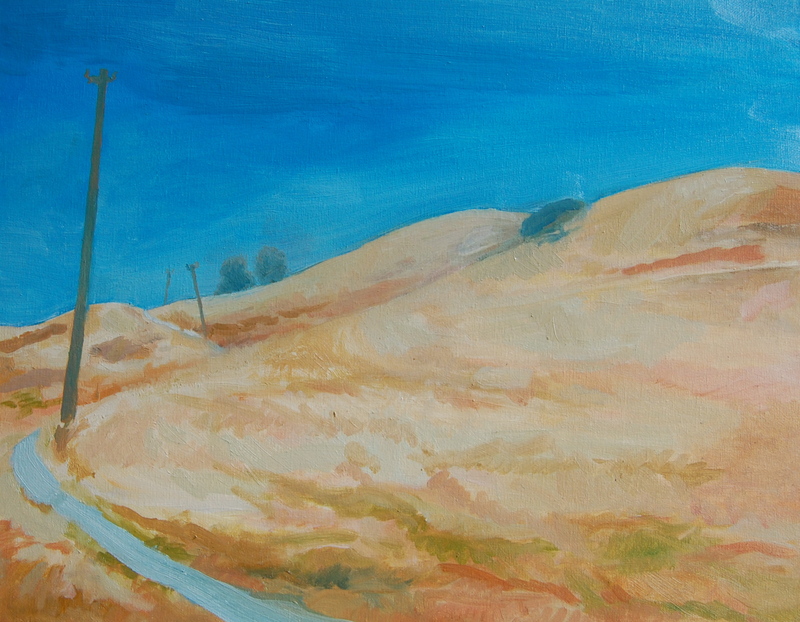 The trees were originally too big and then I couldn’t get the colors right and then I added the telegraph poles and more sky and still I don’t like the results. May post the updated version when I can work on it again. Agh!!!! This entry was posted in Art Journal and tagged Art journal, Fran Osborne, landscape, oil, trees. Bookmark the permalink. ← Concrete plant, 2nd Street Berkeley, CA.